To represent your product and/or service, you need to lure visitors back to your website through retargeting. 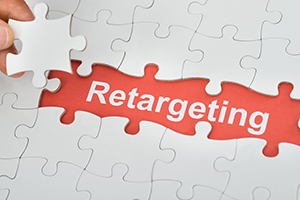 Especially for people who showed some degree of interest, retargeting is essential. Even if you currently use retargeting strategies, you may not be taking full advantage of this opportunity. To optimize retargeting strategies, consider some of the proven techniques. Factors of Engagement—To be more precise in segmenting your traffic, use the Custom Segment in Google Analytics. When Google Analytics and Google AdWords are linked, you gain ability to retarget very specific portions of your audience. With this, you gain insight into key factors such as the number of visits, session duration, landing pages, and goal completion, among others. Vertical Website—Creating a separate website is yet another option if there is a lack of knowledge within your industry on a specific topic. For example, if you find that other merchants are trying to learn more about credit card processing or an actual credit card processor, you can create a separate “how to” website that provides detailed information. With this, attracting potential clients to your main website becomes easier and more successful. Incomplete Action—You have the ability to track people who started to fill out a form but failed to complete it for one reason or another. In this case, you want to create a list of potential clients, those who already showed some degree of interest in your product and/or service. History—The number of past leads is probably significant. To get those individuals back to your website, targeted ads work great. Using the emails that you already have, use targeted ads that include benefits, announcements, and features. The goal is to stay connected and engage with past contacts. User Engagement—Some of your past contacts will engage and share your content while others will not. By measuring the level of engagement, you can target the right people. To retarget according to the degree of engagement, you can use various tools including Kissmetrics or NPS Survey. Combination Email Marketing—You also want to retarget people who were sent emails but never opened them. Using your email list, you can target people who showed a warm reception and get them to engage by providing informative content using whitepapers and case studies. As a small business owner, retargeting opportunities are just as important as more traditional marketing strategies. You can still engage with some people who showed little to no interest. For professional assistance, a company like Chosen Payments offers a wide range of marketing solutions as well as other services, including ACH and check processing, mobile applications, e-commerce integration, online reporting, and much more.